Reckless (Mirrorworld, 1) by Cornelia Funke, September 14, 2010. Published by Little Brown Books. Source: Own it. Why: Okay, so, I very much love the hardcover for Reckless. 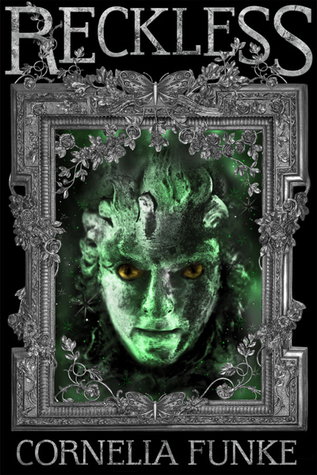 It just speaks of twisty, dark reading and I'm totally excited about that. Yet, the question remains is why haven't I gotten around to reading it already. I mean it's been in my possession for six years (yes, 6 [long] years) and still I have not cracked it open. I, frankly, am disappointed in my still that this book is still sitting unread in my room. Especially since I adored Thief Lord and was madly excited when I won a copy of it. In order to vaporize my "Own yet haven't read it" guilt, I shall endeavor to read it this year. Hopefully, it is every bit as good as I think it'll be!! I just want to love it since Thief Lord was such a great book!! Wish me luck that Reckless by Cornelia Funke will live up to my six years worth of expectations!!! 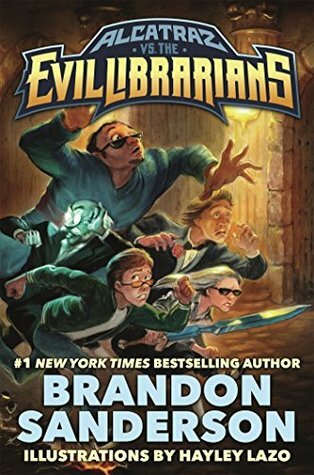 Alcatraz VS the Evil Librarians (Alcatraz, 1) by Brandon Sanderson, February 16, 2016 (originally published October 1, 2007). 320 pages. Published by Starscape. Source: Publisher. So there I was, tied to an altar made from outdated encyclopedias, about to get sacrificed to the dark powers of evil Librarians. 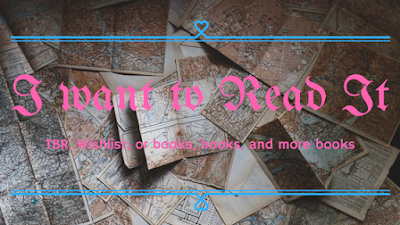 I'm coming clean, I have been in a kinda almost book slump lately. I not sure I would actually dub it a slump, more like I have the reading lazies. It's just that the weather is, well is was, so nice and warm that sitting down to read just was not in the cards. This happens about twice a year. When it warms up; then again when it's cold and I just want to hibernate till it's warm again, so don't worry. Yet, this book I started is breaking through my current lazy reading. Lately, I've been eyeing books and getting this feeling. 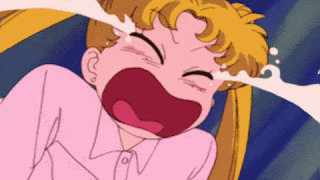 But, the book I'm currently reading has me feeling more like this. I am so happy to be feeling like this about this book and cannot wait to tell y'all about it. I'm sure y'all can easily figure out what it is I'm reading. Frankly, I am just happy to be breaking through the reading lazies and returning to reading. Crown's Game (Crown's Game, 1) by Evelyn Skye, May 17, 2016. Published by Balzer + Bray. Why: Just last week I took part in, the still ongoing, Tsar's Guard Parade for Evelyn Skye's The Crown's Game. Which reminded me how much I desperately want to read her book!! Seriously though it is one of my most anticipated new read this year!! Everything about it is just calling my name and saying, "read me, read me!!" Really, this is just one of those book that I know I'm going to need to read!! Now begins that plotting on getting my hands on a copy...I'm thinking my library may be the route to go for the time being!! So, are you, dear readers, as excited as I am for The Crown's Game?!?!? Alice's Adventures in Wonderland and Through the Looking Glass (Alice's Adventures in Wonderland, 1-2) by Lewis Carroll, December 10, 2002 (originally published in 1871). Published by Modern Library. Source: bought/own. Alice was beginning to get very tired of sitting by her sister on the bank, and of having nothing to do: once or twice she had peeped into the book her sister was reading, but it had no pictures or conversations in it, "and what is the use of a book," though Alice, "without pictures or conversations?" 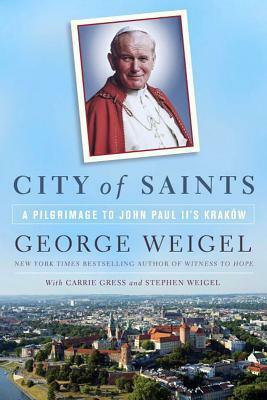 City of Saints: A Pilgrimage to John Paul II's Kraków by George Weigel, October 27, 2015. 33 pages. Published by Image. Source: Blogging for Books. When eighteen-year-old Karol Józef Wojtyła, newly arrived in Kraków from provincial Wadowice, walked across the Dębniki Bridge and into Kraków's Old Town in the fall of 1938 to register for his first classes in Polish language and literature at the Jagiellonian University, he may already have felt a sense of kinship with the ancient city that had been Poland's cultural capital for centuries. Little, Brown Books for Young Readers. 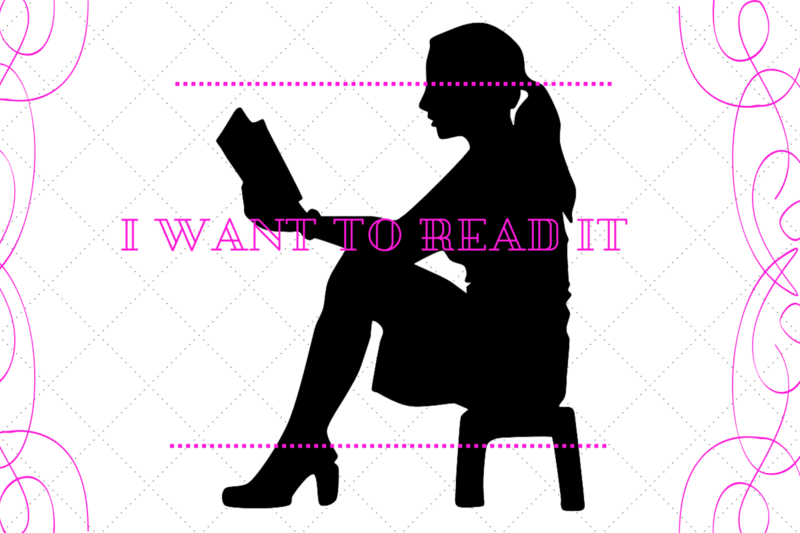 Status: Own/Need to read. Why: I know, I'm terribly behind on this series, but, is that really a surprise?!?! Honestly though, I really just enjoyed everything about Loki's Wolves and am beyond curious to see what will happen next. Besides, I really liked that this book that was, as you can guess, heavy on mythology centered around Norse mythology instead of,you guessed it, Greek. 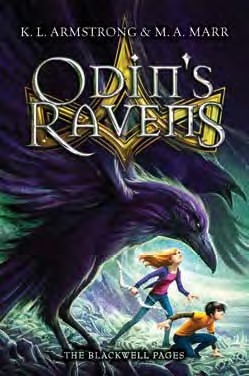 Definitely excited to pull Odin's Ravens off my TBR stack for reading some time soon. Firstly, I am super excited to be part of the Evelyn Skye's Tsar's Guard Parade!! It has taken me the longest time to even have a hint of an idea of what to do for this book that intrigues me so. I am madly excited about The Crown's Game!! It actually is the book, from a new author, that I'm most excited for this year!! Don't forget, you can follow the entire Tsar's Guard Parade. 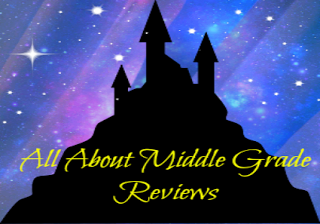 I highly recommend it because there are so amazing posts that came before me!! Because I have had the hardest time deciding which of two paths to take for this post, I decided to do both!! When I looked at the cover for The Crown's Game and read synopsis, my mind was instantly drawn to putting together a playlist of classical songs that I thought would, hopefully perfectly, capture the feel of Evelyn Skye's book. After much searching, these were the one's that I chose. I love how some of them build from a light, almost whimsical sound to something dark and thundering. 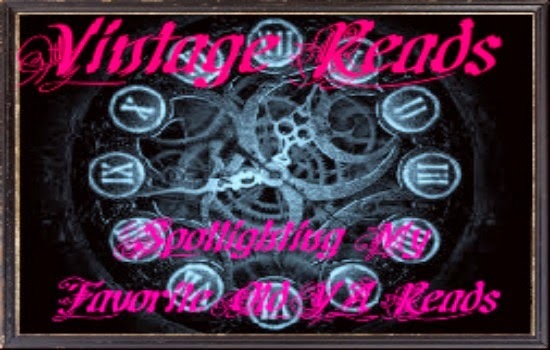 As with all things musical, I kind of went a dash overboard and picked more songs than I planned on. Over Christmas, I actually, for the first time, made Russian Tea Cakes (which is the same as Mexican Wedding Cakes). While mine didn't turn out nearly as pretty as the ones in the picture, they tasted really good...even though I had to cut out the nuts because, you know, allergies. Let's face it, you read and you wind up hungry, so, I have put together a short Pinterest board of Russian themed desserts that look absolutely delicious for my Tsar's Guard Parade post. Follow Orchid's board Crown's Game and Dessert on Pinterest. 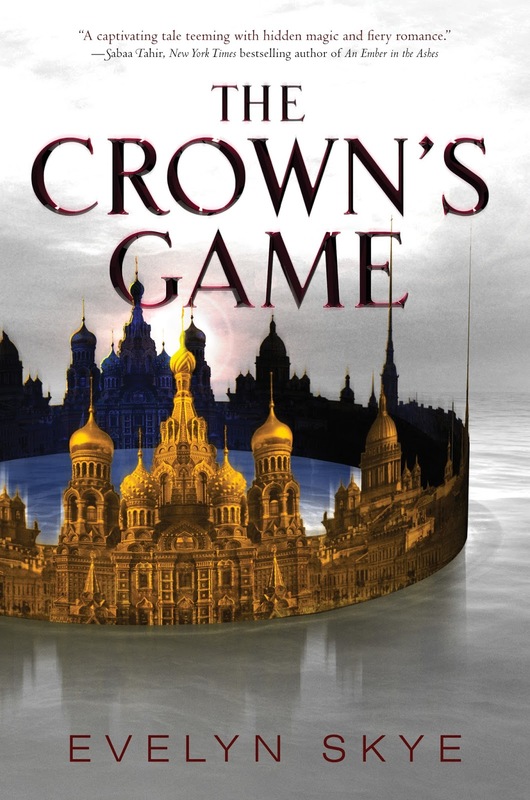 The Crown's Game (Crown's Game, 1) by Evelyn Skye, May 17, 2016. Published by Balzer + Bray. You can add The Crown's Game to your Goodreads shelves, which I'm pretty sure you totally want to do!! I know I cannot wait to read it for myself!!! 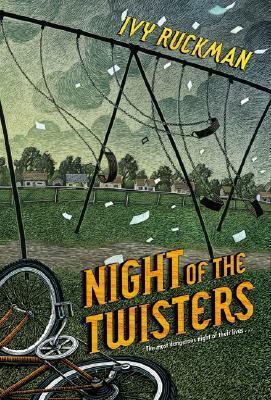 Night of the Twisters by Ivy Ruckman, December 3, 2003 (originally published September 5, 1984). 160 pages. 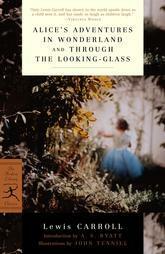 Published by HarperCollins. Source: Own/Bought. When I was a little kid, I thought a red-letter day was when you got a red letter in the mailbox. Friday Barnes, Under Suspicion (Friday Barnes, 2) by R.A. Spratt, August 9, 2016. Illustrated by Phil Gosier. Published by Roaring Brook Press. 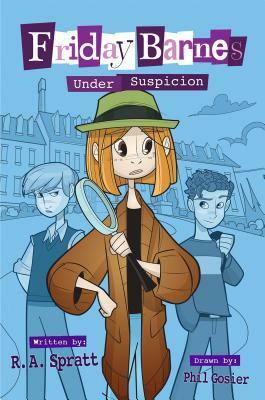 Why: Since I quite enjoyed reading Friday Barnes, Girl Detective, I am madly excited to get my hands on Friday Barnes, Under Suspicion later this year. I cannot wait to see why she's under suspicion and how she'll get herself out of trouble!! Bring it on!! 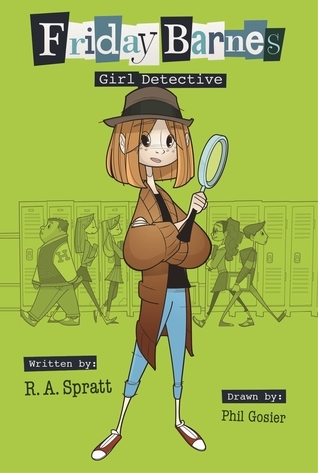 Friday Barnes, Girl Detective (Friday Barnes, 1) by R.A. Spratt, January 19, 2016. Illustrated by Phil Gosier. 272 pages. Published by Roaring Brook Press. Source: ARC from publisher. Friday Barnes was not an unhappy child. Right now, I'm reading this one book that is tearing my heart to pieces. I'm somewhat afraid to progress further into it because the movie (I didn't realize that the movie was based upon the book) made me cry big ugly tears. I have never cried so much over something as that movie. Even thinking about it now and what is still to come in my current read is giving me chills. When you realize that the further you get into the book the more you want to cry your eyes out. I knew going in the some of the scenes were going to be intense, but, I did not think it would affect me this badly. I generally don't even get misty eyed when reading. That and I can only think of maybe 10 books that have made me teary eyed, so, this is very surprising. The one just above, well that's how I feel about crying. 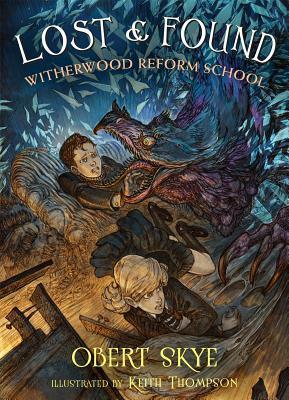 Today, I have the pleasure of being the third stop in the blog tour for Obert Skye's Lost & Found, the second installment of the Witherwood Reform School series. Continue reading for not only my thoughts on it, but, also for the chance to win your own copy!!! Lost & Found (Witherwood Reform School, 2) by Obert Skye, March 1, 2016. 288 pages. Published by Henry Holt and Co. (BYR). Source: ARC from publisher. On top of a tall mesa, in the middle of a lonely desert, there sits a school. Starters (Starters, 1) by Lissa Price, March 13, 2012. Published by Delacorte Books for Young Readers. Status: Owned. Why: I am embarrassed to admit that I've owned a copy of this for....well, probably since it released...and have yet to get around to reading it. I know that I was super excited to get this one because it sounded so good. Yet, as you can tell, I never got around to reading it. With it being so far past release date, putting this on my "read it this year" list is making it feel like a new release (in some strange way) to me. I cannot wait to delve into the world that Lissa Price has created!! Have you read Starters? Did you like it?